Victoria is a leading location for development of new ideas and the development of stem cell research and regenerative medicine. Built on world class research and key R&D infrastructure, the state is currently home to over 180 companies in the biotechnology sector, employing about 20,000 people and recording over US$9.5 billion in revenue in 2013-14. Australia excels at stem cell research and the development of regenerative medicine products. 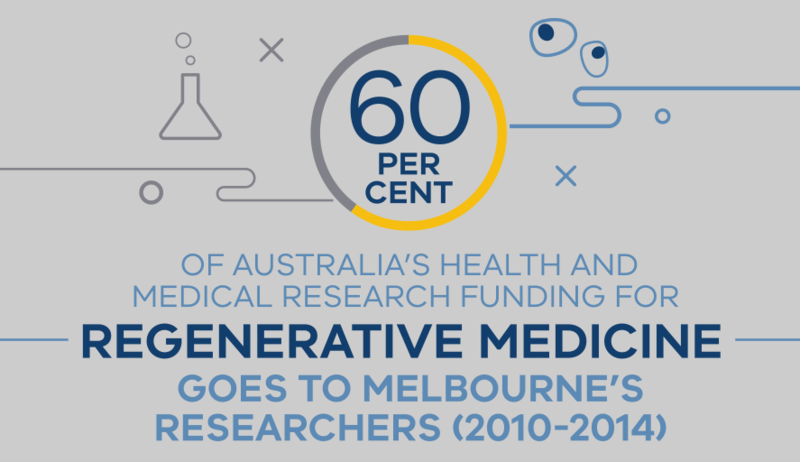 Melbourne scientists received almost 60% of Australia's health and medical research funding for regenerative medicine between 2010 and 2014. Victorian organisations have experienced clinical trial experience trialling stem cell therapies as well as broad capabilities in point-of-care (POC) diagnostic development pipeline, including experience with regulatory authorities including the Food and Drug Administration (FDA) and European Medicines Agency (EMA). The Australian Regenerative Medicine Institute (ARMI) is a US$115 million medical research centre based at the Clayton Campus of Monash University. Boasting 14 research groups studying a variety of regenerative approaches, ARMI is one of the largest regenerative medicine and stem cell research hubs in the world. ARMI's research focuses on the bodies mechanisms during development and repair towards discovering new therapies that may be used to treat certain diseases, conditions and injuries. ARMI staff work with model organisms with regenerative capabilities, like zebrafish and axolotls, and study the underlying mechanisms that give stem cells their unique abilities. Victoria's biotechnology sector is one of the most innovative in the world, known for its consistent and collaborative capability to deliver transformative treatments. Recognised globally, Australia was ranked fourth in the work for biotechnology innovation in the 2014 and 2015 Scientific American Worldview ranking. Melbourne-based Mesoblast Ltd is a global leader in regenerative medicine. It has leveraged proprietary technology platform, based on specialised cells known as mesenchymal lineage adult stem cells, to establish a broad portfolio of late-stage product candidates including orthopaedic disorders, cardiovascular disorders, immunologic/inflammatory disorders and oncology or haematology conditions. PolyNovo Biomaterial Pty Ltd has won approval from the US FDA to sell NovoSorb, a temporary lattice inserted ahead of eventual skin grafts for patients with skin burns. Originally developed by CSIRO, NovoSorb lattice will encourage the regrowth of normal skin cells. Unlike other treatments, the burnt area can be unrecognisable from the surrounding skin. Cell Therapies Pty Ltd, a subsidiary of Peter MacCallum Cancer Centre in Melbourne, has more than a decade of experience manufacturing cellular therapies for clinical trials and small-scale commercial use. It is also targeting large volume production, aiming to provide the essential infrastructure necessary to deliver these advanced manufacturing products across Asia. 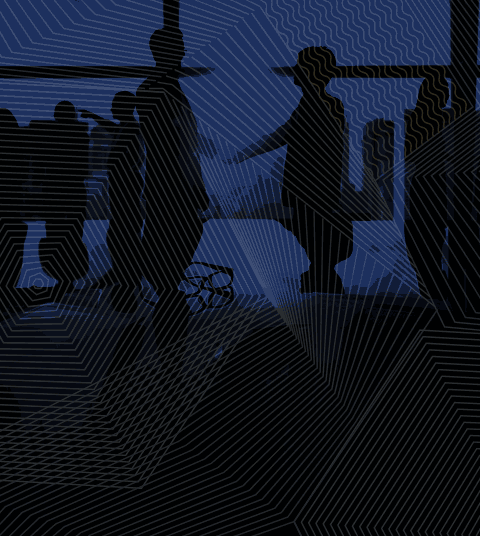 Global medical engineering company, Invetech has been creating breakthrough products and custom automation systems that redefine markets for more than 30 years. Invetech's Melbourne office worked closely with Organovo to help them transform their core science by designing, developing, and manufacturing the world's first commercial 3D bioprinter. In 2006, Walter and Eliza Hall Institute researchers were the first to identify and isolate breast stem cells, and show they can give rise to every type of cell within the breast. Subsequent studies by the team have implicated breast stem cells, and their 'daughter' progenitor cells, as a potential cell of origin for breast cancer, and helped to explain the link between female hormones and breast cancer. A new way of triggering cell death has been discovered, in a finding that could lead to drugs to treat cancer and autoimmune disease. The State of Victoria was the first international partner to jointly manage international collaborative research projects together with the California Institute for Regenerative Medicine (CIRM), the world's largest stem cell agency. The world's leading stem cell researchers, physicians and government and health officials have chosen Melbourne location of the 16th Annual Meeting of the International Society for Stem Cell Research (ISSCR) in 2018.